SOMALIA, Jowhar (ArmedPolitics) – At least four people have been confirmed dead and three others wounded in a bomb explosion at an airport in Jowhar, located 90 kilometers (55 miles) north west of Somali capital, Mogadishu on Sunday. 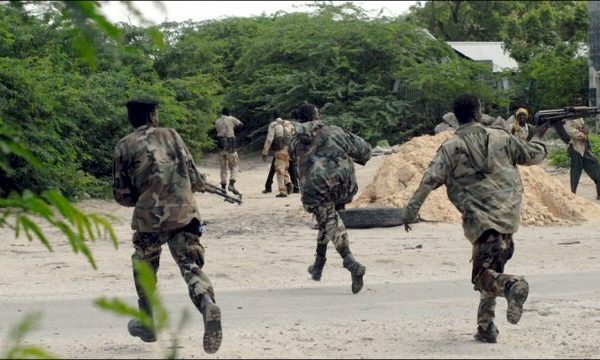 BELEDWEYNE, Somalia (ArmedPolitics) — At least ten people have been killed and scores wounded, among them unarmed civilians, in clan fighting that continues for a third consecutive day, according to authorities. A restaurant in Somali capital, Mogadishu has been hit by a powerful suicide bomb explosion carried out by the Al Qaeda-affiliated, Al Shabaab, on Thursday afternoon killing at least two people and injuring 8 others. MOGADISHU, Somalia — The Al Qaeda-affiliated Islamic militants of Al Shabaab executed four elders on Saturday on the charges of spying for the Somali government military and African Union peacekeepers in middle Shabelle region.